Le Bar is just that--The Bar. It is the bar for everyone. A Le Bar is the bar you grab when you are dashing out the door and need a quick, healthy breakfast. Containing 5 grams of protein, Le Bar should keep you full until lunch. A Le Bar is the bar you seek to stave off afternoon hanger and get you to dinner. A Le Bar is the bar you want to eat to refuel after a difficult workout because of its combination of carbohydrates and protein. A Le Bar is also the bar to eat if you want to be, er, regular. 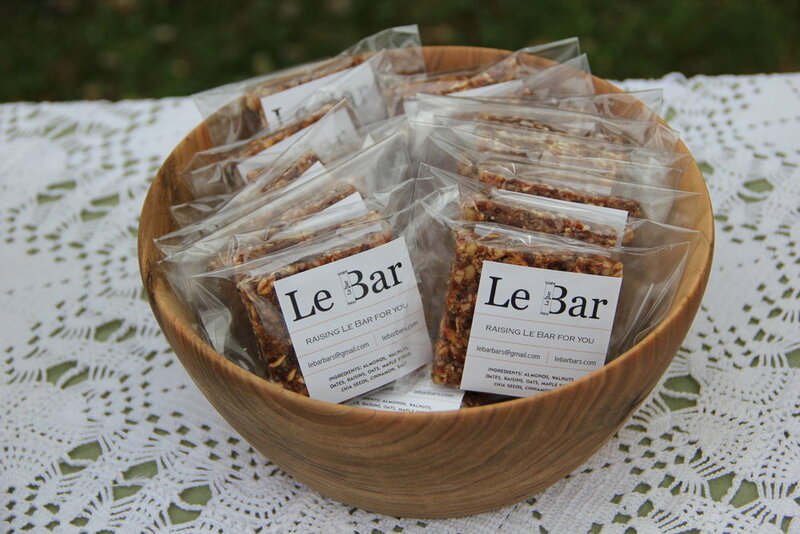 With fiber from almonds, dates, and walnuts, Le Bar helps move things along. It is a multipurpose bar. A Le Bar is also the bar you grab when you want something sweet and healthy. A Le Bar appeals to most anyone. Whether you're a vegan, a carnivore, gluten free, gluten full, a health nut, or really in love with junk food, you, too, will love Le Bar.